1) INSPIRATION: In these days of tragedy-obsessed new media, increasingly-dysfunctional national governments, and catastrophic climate change, it’s not easy to be optimistic. One of our roles is to share news of how our world is getting better. Solutions invented in one community are often replicable where you live, giving you the chance to move beyond optimism to action. 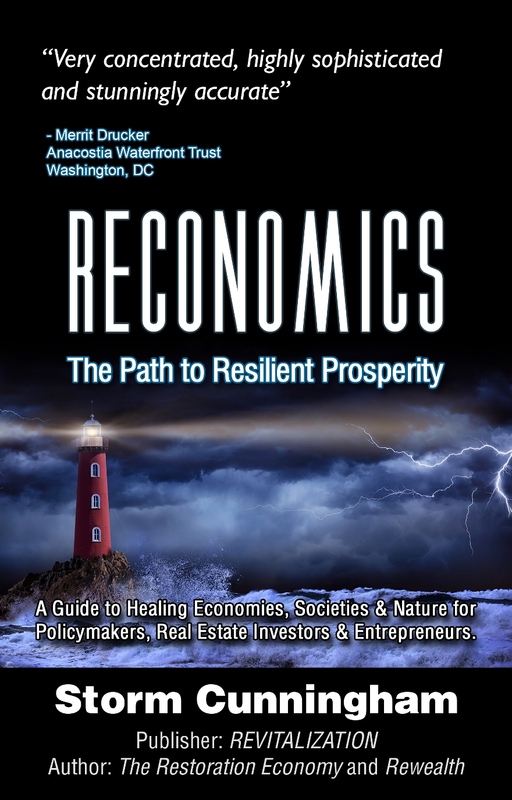 2) AWARENESS: If you’ve read the Preview of RECONOMICS or heard one of REVITALIZATION Publisher Storm Cunningham‘s talks in the past decade, you know that generating increased confidence in the future of a place is the single most important goal of any revitalization effort. Many struggling communities are working hard for a comeback, and many prosperous places are working hard to improve their quality of life and resilience. But it’s not just among residents that that confidence must be boosted: it’s also among those outsiders who might be able to bring new jobs and resources to the area. Excellent efforts won’t do much to build confidence if no one outside the community or region knows about them. So, one of our roles is to make the world aware of revitalization and resilience efforts they might not have heard about otherwise. 3) EDUCATION: But increasing confidence in the future of a place isn’t enough. When those new resources come to town, local public and private leaders need to understand how to put them to work to magnify and perpetuate their revitalization effect. Funding for redevelopment, revitalization and resilience is fairly common. Knowing how to leverage those investments is rare. So another goal of REVITALIZATION is to share knowledge, tools and insights as to what works. 4) FACILITATION: Our fourth goal is to help those with resources find mutually-beneficial opportunities that make this world a better place for all. Many of those opportunities are found on our Business page. 5) INTEGRATION: There are literally millions of talented people around the world trying to create resilient prosperity in their community or region. But almost all of them are working in a “silo”. Some only work on one type of asset (infrastructure, heritage, watershed, etc.). Some only work in a limited area, such as downtown or a waterfront. Some only work in one phase, such as planning or projects. But communities and nations are complex, living systems whose renewal requires comprehensive, ongoing effort. So, our final goal is to bring together all of these silos, and get professionals to “look up and see each other”: to become more aware of others’ roles. So our fifth goal is to enhance collaboration and system-level approaches. Everyone—progressive and conservative—enjoys bringing ugly, unhealthy, unproductive places back to life. Everyone has a different perspective on what revitalization looks like, and what contributes to it. REVITALIZATION is where we learn together, and get inspired together. REVITALIZATION is the only place where representatives of academia, non-profits, foundations, businesses, and government (at all levels) from all over the world come together to focus on creating a healthier, more-prosperous and resilient future for all. 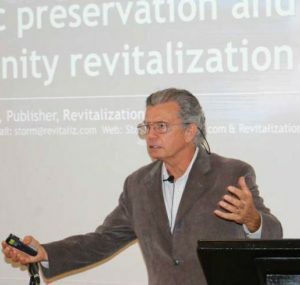 REVITALIZATION is also the only place where professional “silos” dissolve, and readers are exposed to the repurposing, renewing and reconnecting of ALL asset types needed to regenerate our future: ecosystems, watersheds, fisheries, climate, agricultural, urban, rural, infrastructure, brownfields, social, historic, economic and post-catastrophe. 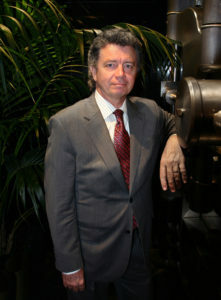 Storm Cunningham is the publisher of REVITALIZATION. Since 2002, Storm has been a resilient prosperity coach to leaders of cities, nations, non-profits and businesses worldwide. His clients have included mayors, governors, heads of federal agencies, members of the U.S. Congress, provosts of universities, foundation presidents, Fortune 500 executives, Chamber of Commerce CEOs, and nonprofit leaders. In this confidential role, he normally stays in the background, so his clients can take full credit when they launch leading-edge policies and initiatives related to revitalization and resilience. But in his role as keynoter and workshop leader, he’s very much in the foreground. For almost two decades, Storm has been presenting at planning, sustainability, community regeneration, economic resilience, and natural resource restoration conferences. His 3rd book will be RECONOMICS: The Path to Resilient Prosperity (coming in 2019). It’s a strategic guide for policymakers, real estate investors and social entrepreneurs. Given the $16 trillion that’s about to be unleashed by the global response to climate change, this new book is well-timed. Much of that investment will repurpose, renew, and reconnect our at-risk natural, built, and socioeconomic environments, creating myriad new industries and jobs. Combine that with the $10 trillion global construction industry’s increasing focus on redevelopment and infill over sprawl, and the impact will alter local economies forever. 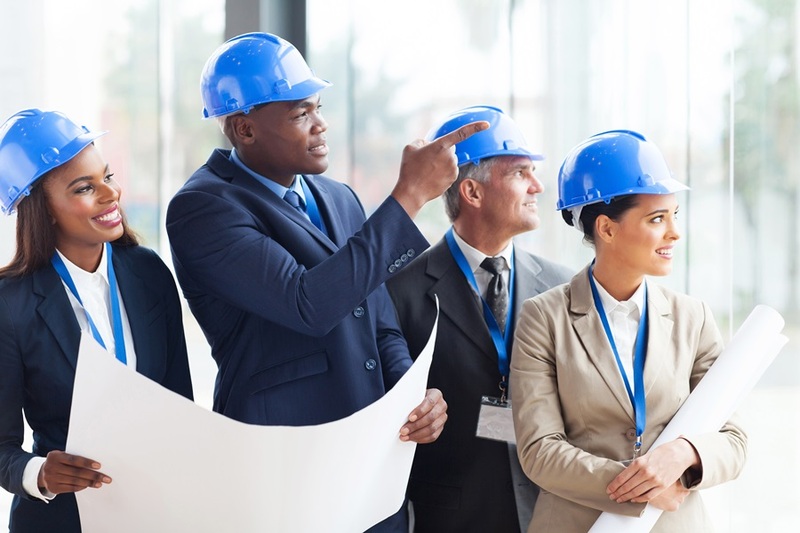 While there are thousands of experts related to creating redevelopment plans and projects, Storm’s specialty is the actual process that produces the desired end result: revitalization (economic growth, increased quality of life, etc.). All around the planet, he helps leaders avoid the two most common causes of failed revitalization and resilience efforts: 1) lack of an effective strategy; 2) lack of a reliable process for funding and implementation. Storm keynoting the annual conference of Preservation Maryland in 2016. His workshops help public and private leaders understand: 1) the dynamics of community/regional economic revitalization, and 2) how to strategically position their career, or their organization, within that process. Most places already have all the organizations and resources they need to achieve revitalization or resilience. But these assets aren’t organized into a productive renewal process. Storm’s work breaks down silos, opens up flows, and creates greater community cooperation. 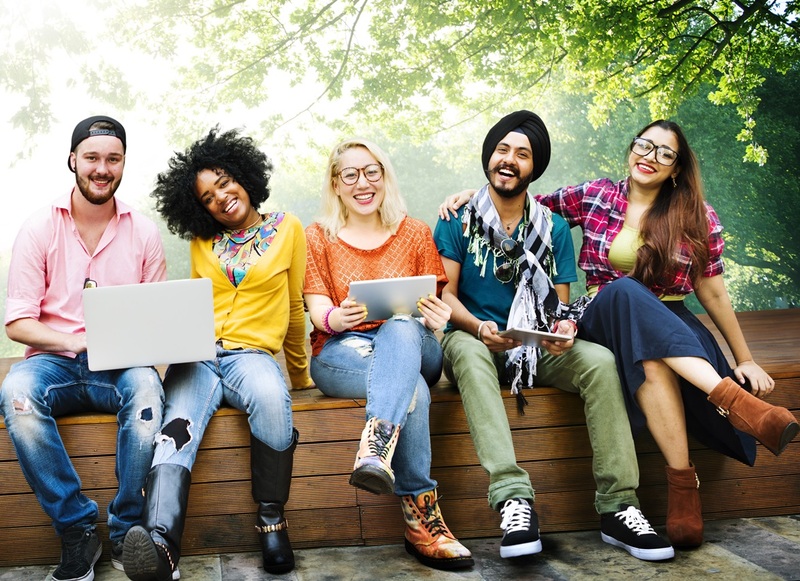 As a result, his client communities and organizations more easily collaborate with and/or get funded by those renewing other aspects of the built, natural, and socioeconomic environments. Storm has helped colleges and universities raise millions of public and private dollars to endow new chairs and launch new institutes related to community redevelopment, natural resource restoration, and climate adaptation. From 2006-2009 Storm was Distinguished Visiting Professor at Seneca College (Canada’s largest college) in Toronto. US State Department, Boeing, Harvard University, Ontario Chamber of Commerce, Israel Planners Association, European Property Italian Conference, University of Guadalajara, National Arbor Day Foundation, U.S. Environmental Protection Agency, American Institute of Architects, Project Management Institute, US Embassy (Poland), Governor of Montana, Canadian Urban Institute, Santee Cooper, Urban Land Institute, University of Texas, Leadership Cleveland, and many more. Storm lives in Arlington, Virginia with his wife, Dr. Maria MacKnight. From 1996-2002, he was Director, Strategic Initiatives at the Construction Specifications Institute, a technical society of about 14,000 architects, engineers, and manufacturers. Storm was an A-Team SCUBA medic with the U.S. Army’s 7th Special Forces (Green Berets), and is still an avid SCUBA diver, motorcyclist, and amateur herpetologist. Watch Storm’s 2010 TEDx talk in Washington, DC. See https://StormCunningham.com for more on Storm’s work. Storm can be reached at 1-703-887-2142. NOTE: Jay Pipavat is our talented webmaster at EastWest Web. Email him in India if you’d like to publish a magazine similar in format to this one.